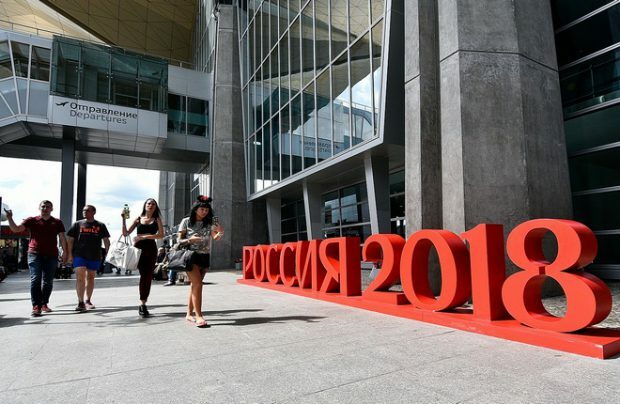 The first half of 2018 has proved a positive period for Russia’s air travel market, which continues to demonstrate signs of steady growth. The country’s airlines collectively carried some 51.4 million passengers, at a year-on-year growth rate of 11.3 per cent in the period. The improvement is spread rather evenly throughout the industry, and not limited to the top-five largest airlines, whose share of total traffic actually decreased by 2.1 per cent to 65.4 per cent, or 33.6 million passengers, according to a Rosaviatsiya, Russian aviation authority, report. It also shows that of the country’s first 35 passenger airlines, 14 enjoyed double-digit traffic growth, with the leaders including low-cost carrier (LCC) Pobeda Airlines (3.1 million passengers, up 50.8 per cent), Nordwind (2.2 million, almost double) and PegasFly Airlines (797,000 passengers, up 17.8 per cent). A further nine carriers went from stagnation to a slow climb. In the period, the international segment grew across the whole industry, with flag carrier Aeroflot carrying 8.3 million passengers (up 4.3 per cent year-on-year), the largest number on international routes. At the same time, its St Petersburg-registered subsidiary Rossiya saw its international traffic climb by 10.6 per cent (to 1.8 million passengers), while its domestic traffic dropped 11 per cent. The country’s largest charter airline Azur Air carried as many passengers internationally as Rossiya, but demonstrated an overall impressive growth rate of 19 per cent. Ural Airlines, Russia’s fourth largest carrier, enjoyed a record 30 per cent growth of international traffic to 1.7 million passengers. Second largest S7 Airlines carried 1.5 million passengers outside Russia, up 13.6 per cent year-on-year. In the domestic segment, Aeroflot remained the leader with 7.8 million passengers (up 8.7 per cent year-on-year), followed by S7 Airlines, which carried 3.6 million (up 18.7 per cent). Rossiya Airlines’ domestic traffic declined 11 per cent in the six months period, whereas Utair’s grew by 7.9 per cent, resulting in both airlines each carrying 2.9 million. LCC Pobeda completes the top-five domestic airlines list having carried 2.4 million passengers in the period, at a record year-on-year improvement rate of 45.7 per cent. Industry experts are forecasting that the Russian air transport market will continue to grow this year at an average rate of seven to 10 per cent.